CINCINNATI -- The dozens of homeless people living in a tent city near Third and Plum streets Downtown might not have to move this week after all. 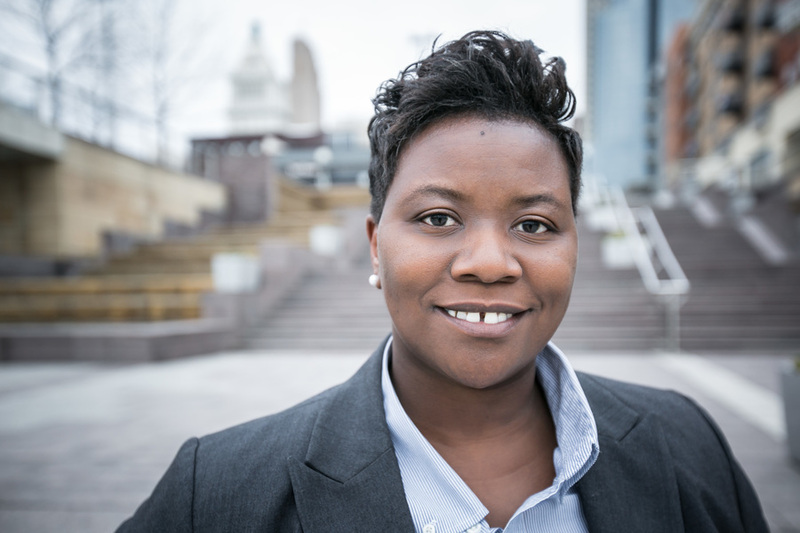 Cincinnati City Councilwoman Tamaya Dennard has asked Acting City Manager Patrick Duhaney to delay the city's evacuation of the area, which city officials have said has become a health and safety hazard. Duhaney issued a memo Monday saying that the people living there had 72 hours to leave, describing the evacuation as the first step in a long process to help them get into permanent housing. In an email to Duhaney and other stakeholders that was obtained by WCPO, Dennard asked for a meeting to work out a different solution. "I would like to pull back the 72 hour deadline to enact real engagement," she wrote. "There is too much confusion about who is on first and what is happening." In an exclusive interview with WCPO, Dennard said Duhaney told her he was open to the idea of delaying the evacuation of the area. "At this time the existing plan remains in place and as scheduled. 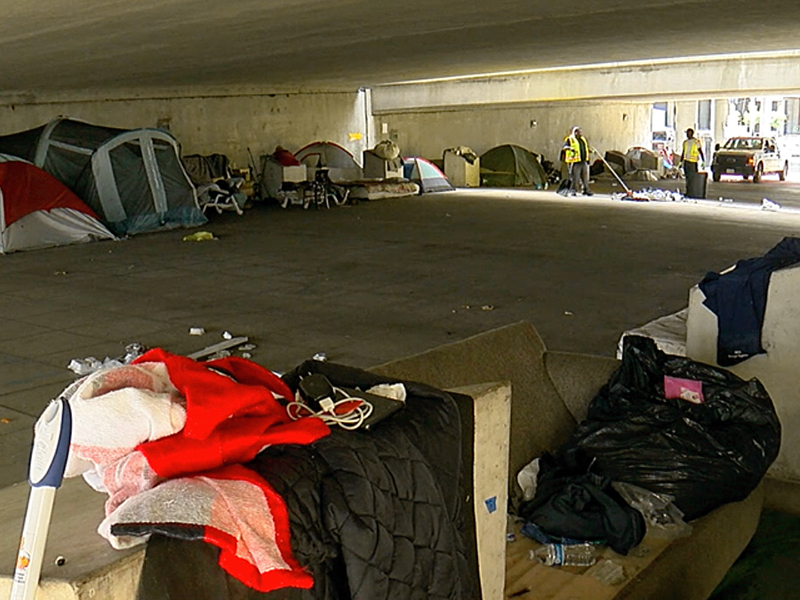 To reiterate, this is being done to provide the campers with temporary shelter that offers them a safer, cleaner environment than the encampment under the highway bypass." Even if Duhaney won't approve a delay, Dennard said she is "pretty confident" she could get the support of a majority of council members to slow things down. "We've got to react out of humanity," Dennard said. "Not necessarily because people don't like the stench or look of homelessness." 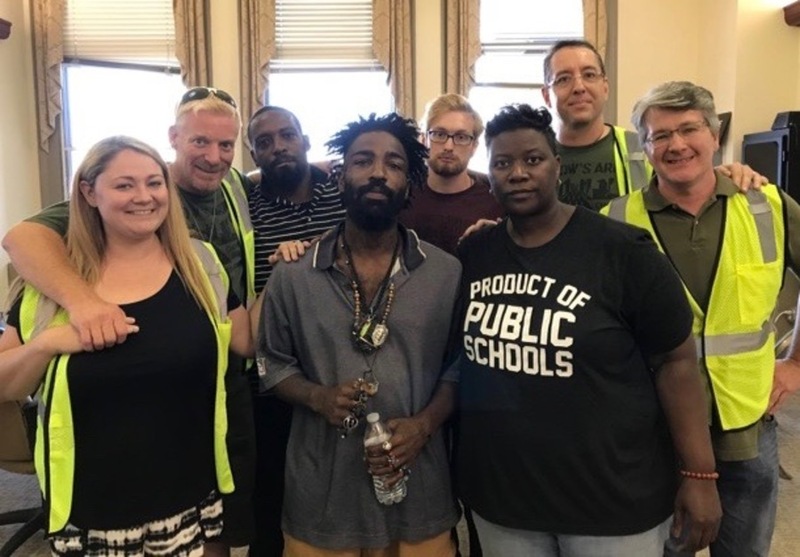 Dennard met Tuesday with a group of people from the homeless camps and advocates who have been working with them. Bison, a man identified as the chief tribe leader of the tent city near Third and Plum streets, was at the meeting and said he was pleased with how it went. "I think we had a real good meeting," said Bison, who prefers not to use the name on his government-issued identification. "Hopefully her promises will be made and kept. I think they will be." A spokesman for Duhaney said Tuesday that a temporary shelter for those staying at the tent city would be located at Prince of Peace Lutheran Church on Race Street in Over-the-Rhine. The church traditionally operates a homeless shelter during the winter months when it is bitterly cold outside. Spokesman Casey Weldon said the shelter there could accommodate as many as 44 people and would cost no more than $62,000 for up to eight weeks. Bison said not everyone at the tent city wants to stay in a shelter, adding that he had an experience at a local shelter so bad he would never return. "Who are you to say I can't live outside?" he said. As city officials and advocates working to end homelessness try to find permanent housing for people living on the street, Dennard said one solution might be to establish a community where people could live in their tents outside without fear of being evicted. The community could be something like a campground with garbage cans and bathrooms, she said. "They regulate themselves," Dennard said. "The things we hear about public intoxication and public urination, that's not all true." Bison said he and others at his tent city have forced people to leave that were causing trouble, and many of them want to continue to live outside together in a space that is safe. "I would never have guessed that people would want to do that," Dennard said. "Our homeless constituents are constituents nonetheless, so they need to be listened to as well." Creating a safe, outdoor space for people to camp likely would result in the tent city getting a lot bigger, said Kevin Finn, the CEO of Strategies to End Homelessness . "I don't think that there's any inherent problem in that as a temporary option," he said. "But I do think we'd have to be prepared for every person in the Greater Cincinnati area that either can't access shelter or doesn't want to go into shelter to potentially come to that location." In the meantime, the nonprofit organization Maslow's Army has offered to pay for portable toilets to serve the tent city near Third and Plum streets, said president and co-founder Samuel Landis. "This is a beautiful day," Landis said. "It seems like Councilmember Dennard will have enough votes to take off the 72-hour order so we can move forward with doing things a little more strategically." A photo of the tent city near Third and Plum streets Downtown. Cincinnati City Councilman Greg Landsman said he would support a delay "if necessary" to make sure that whatever happens with the tent city happens in a kind and compassionate way. "I wouldn't want a 72-hour deadline to be the reason why this wasn't handled as carefully and humanely as we all expected it to," Landsman said. 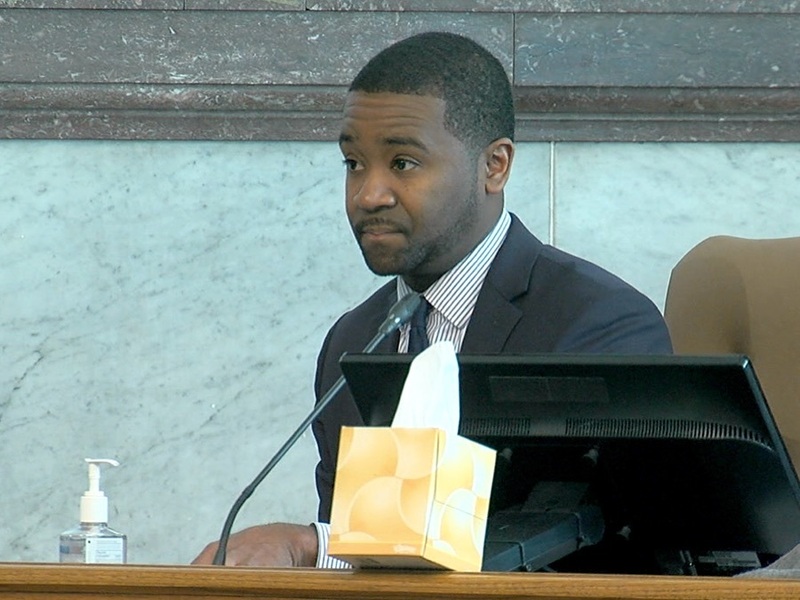 Duhaney, meanwhile, said in his statement to WCPO that he "looks forward to having a discussion with stakeholders later this week on the development of long-term solutions."